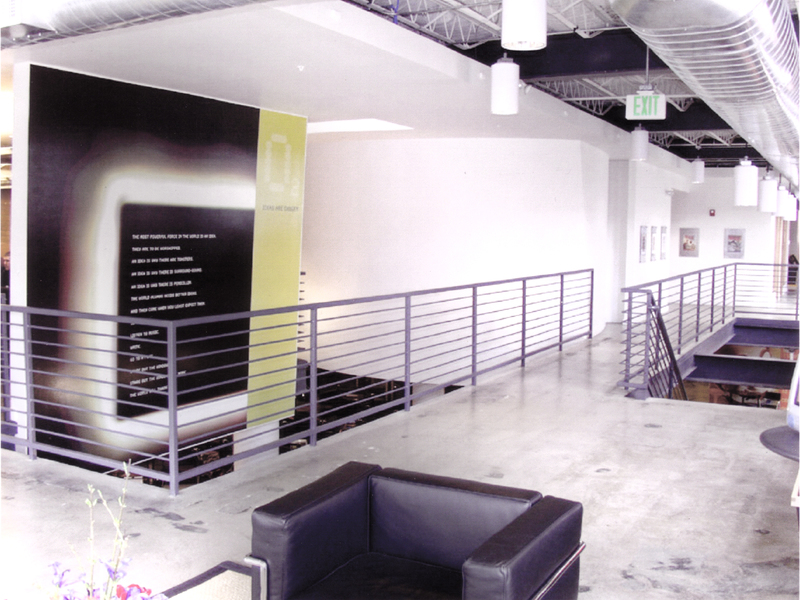 Barnhart, an advertising and branding company, acquired a two story building, formerly a nightclub, in the industrial section of downtown Denver for their office headquarters. The design challenge was to provide 30 percent more square footage than was available on the two existing floor areas. In order to accommodate all staff and allow for growth, the ground floor was opened up to allow access to the basement. 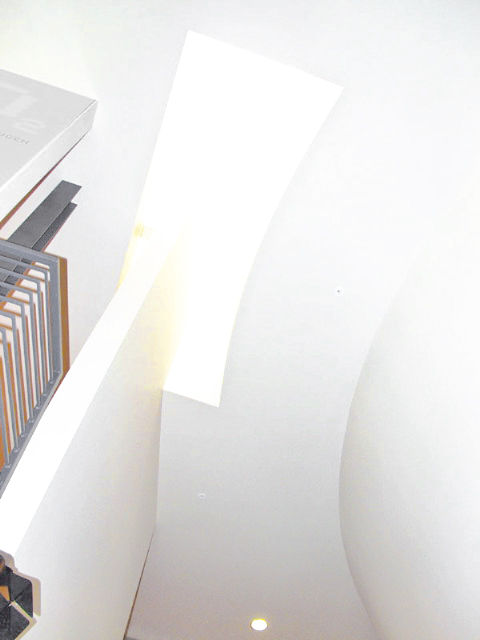 This created an additional studio space that was naturally lit from the above windows and visually connected to the other parts of the agency. Large graphics display the firm’s work and open space connects the studios which create an opportunity for informative tours for potential clients.